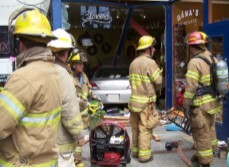 The Bainbridge Island Fire Department has been serving our community for over 75 years. 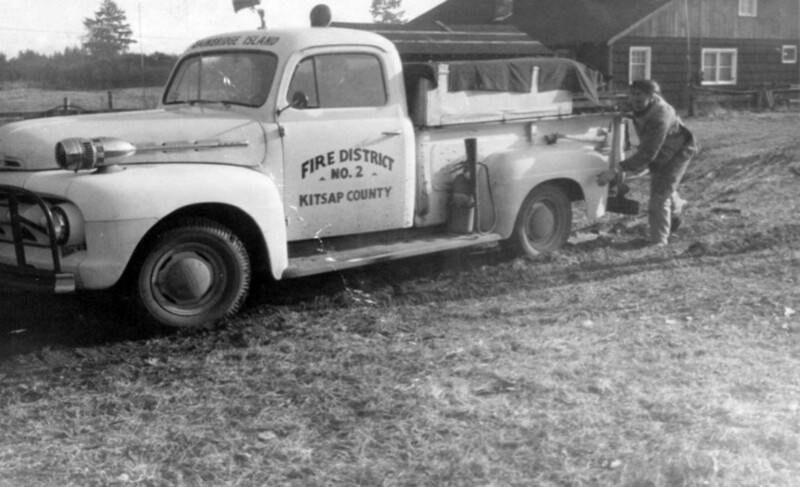 In the summer of 1942, Louis W. Sinnett formed Kitsap County Fire Protection District Number 2. 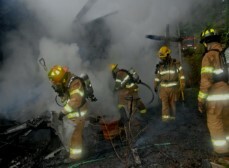 At that time, the Department had one truck and 16 volunteers who were called by telephone at home to respond to fires. By 1955, there was a fire station in Winslow, manned by volunteers, who dispatched all fire calls. In 1958 Chief Sinnett retired and was replaced by Chief "Squirrel" Callaham. The 1960's were a decade of growth for the Department. That year, two Ford "attack" pumpers were purchased, and in 1961, another pumper and a pumper/tanker were purchased. In 1969, two Ford tankers were acquired, and the Department hired three full-time dispatchers. A Seagrave pumper was purchased in 1970 which provided the Department with its first diesel powered truck that could pump 1750 gallons per minute – over three times the flow of the attack pumpers. At this point, the Department had obtained eight pieces of apparatus through donations and community support. In 1971 Don Beach became the Fire Chief. By 1972, airlifts began to speed up transports through the use of Army MAST helicopters. In 1976, the answering and dispatching of all emergency calls was taken over by the 911 center in Bremerton,"CenCom", as it is known today. By the mid-1970s, medical and first aid calls were quickly becoming a mainstay of the Department's operations. With these changes in response needs, the Rotary Club purchased a defibrillator for Department use. Two fully equipped Aid cars, purchased in 1975 and 1976 through donations and Rotary Club support, provided the Department with the most up-to-date aid equipment available to respond to the growing number of medical calls. The Department, under the direction of Chief Beach, began offering CPR classes to the public in 1974, and introduced Public Education classes in the local schools. 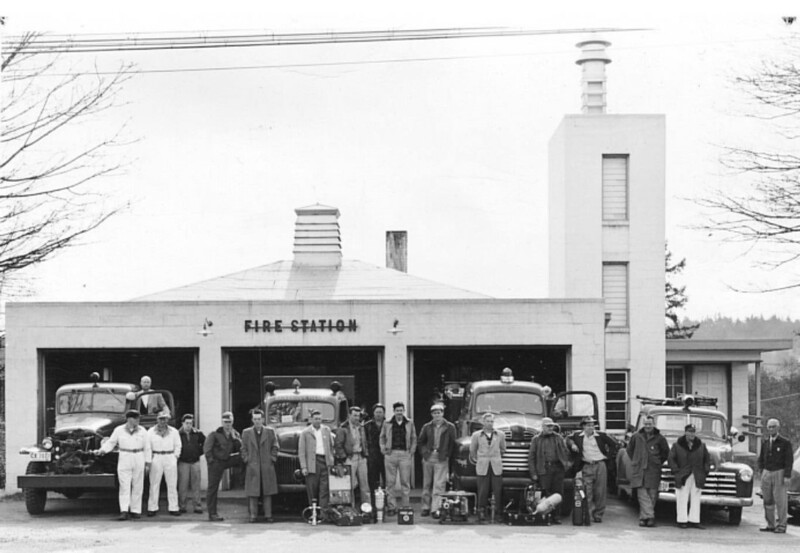 The Island's first paid, shift firefighters began work in 1978. Before being hired, Gary Clough, Mark Hannon and Lloyd "Butch" Lundin, had each been a volunteer or a dispatcher for the Department. The next 20 years marked rapid growth and expansion for the Department. In the mid 1970s, the residents of Bainbridge Island approved the construction of a new station located at the corner of New Brooklyn and Madison Avenue. With an increasing call volume, the Department was in need of funding to purchase more apparatus, build a new station and hire additional paid staff. In 1993, the voters approved a levy increase that would allow the Department to meet some of those needs. In 1994, the Department officially became the "Bainbridge Island Fire Department”. As the commercial development of Bainbridge Island increased, the viability of a ladder truck was researched to provide aerial firefighting capabilities. 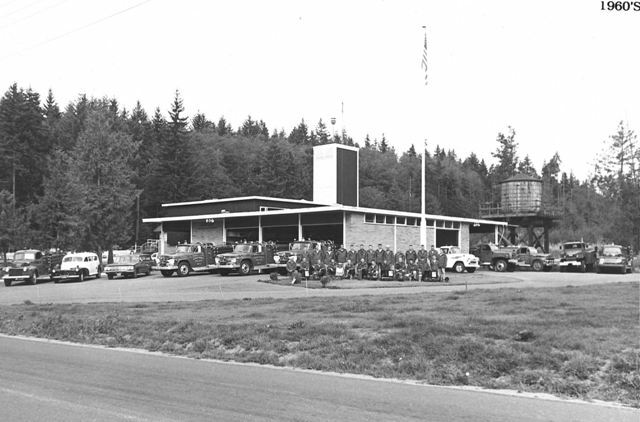 In 1996, plans were made to construct new station 23 on the north end of Bainbridge Island, which would include a training facility for career and volunteer members. Increasing demands for emergency services guided the leadership of the Department to commit to creating a larger career staff to guarantee that responders would be available every hour of every day, including a team of Paramedics. In 2005, the community approved a temporary levy lid lift to replace emergency response apparatus including new fire engines and tenders. 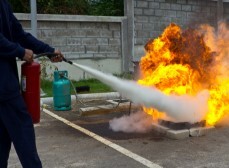 In recent years, the Department has acquired over $1 million in grant funds to purchase safety equipment for its members, and to recruit and retain volunteers. The focus on exploring cost-saving options has made the Bainbridge Island Fire Department a leader in resource sharing, and has guided the district in exploring staffing programs to meet the increasing demand for services. 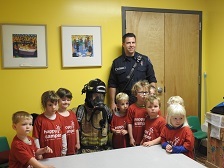 In 2007, Hank Teran came to the Bainbridge Island Fire Department to serve as our current Fire Chief. Fire Chief Teran has overseen a tremendous evolution in the Bainbridge Island Fire Department over the last decade. He has guided us through a significant growth period that has resulted in greatly improved service to the Bainbridge Island community. In 2009, the first ever Emergency Medical Services levy passed which provided funds to hire firefighter/EMT's to staff Fire Station 22 on Bucklin Hill Rd. on a full-time basis. In 2015, voters also approved a $16 mil bond to replace Fire Stations 21 and 22. The Bainbridge Island Fire Department will soon have two new stations to call home, as well as having three fully staffed and operational stations from which to respond. Fire Chief Teran's strategic vision and leadership to implement that vision, has brought the Department to a strong and sustainable position for providing emergency services to the Island now and into the future.